Salut mes belles et mes beaus!! 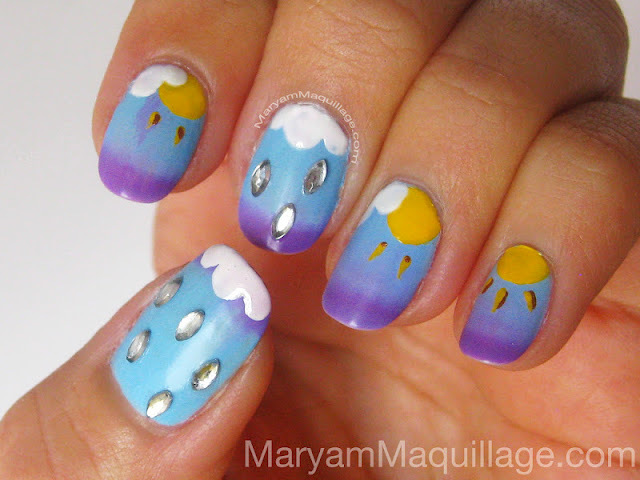 As you can see, my weatherly nails are finally here and today is cloudy and rainy, just like my middle finger Wednesday :)) I've seen clouds and raindrops on quite a few nail blogs, so this nailart is not my original idea. To make it my own, I decided to include several elements to create a whole 10-day weather forecast!! In this post, I'll also be discussing the awesome gradient effect I used on my base... and guess what? It can be achieved with one single nail polish... that's right, only one!!! Read more to learn the secret!! Ni-hao friends :)) Spring has officially sprung, and although it is now much cooler in NY than it was about a week ago, every aspect of life seems to be blooming and flourishing. With spring colors so fresh, one doesn't need to go far in search of inspiration and I found mine right outside of my home. Read on for pix, tips, deets! 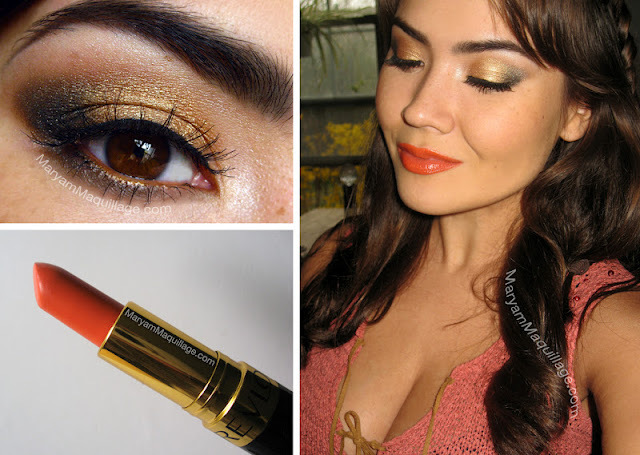 Hey guys, today's look is a boho springy version of my Hot Morange & Naked 2 Cool look from about a month ago. The reason for this remake (and you can probably relate) is that whenever I find a lipstick that I like, I always end up buying more similar shades, creating a rather unnecessary dupes collection. As you may have guessed, orange has become my new red, and it is especially fitting for the spring time. The MAC Morange lipstick I wore in the original look got a ton of feedback, both eager and hesitant, so today I'm featuring a lip color that may even suit the skeptics of the Orange trend. What lip color am I wearing? Bonjour mes amis! First and foremost, I want to thank you all for taking out the time to vote in my poll on the sidebar. I'm working on improving this blog, so I really appreciate your input and value your opinion in this matter. Thanks again and please vote if you haven't! Secondly, as you can see above, today's look is prêt-à-porter (ready-to-wear) featuring my new favorite hot pink eyeliner. 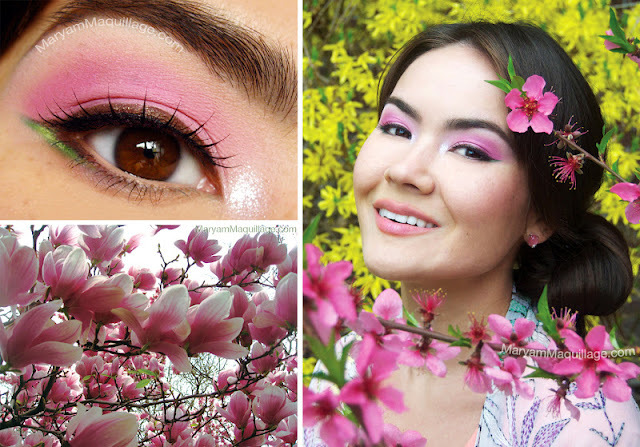 This look is bright, fun, quick and easy and it's my favorite way to play up Asian eyes! Read more for pix, tips, deets! 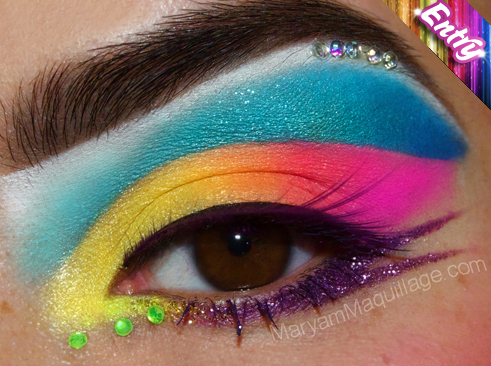 Read full post for pix, tips & deets! It's that time again my friends, and even though I'm definitely not Irish, I'm eager to celebrate St. Patrick's Day this Saturday! 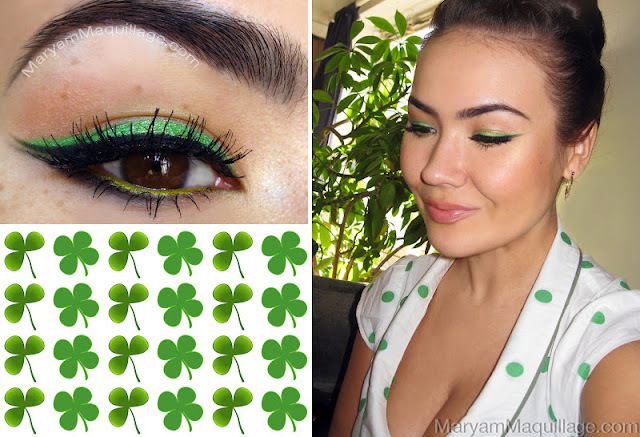 Today's makeup post is clovers & shamrocks inspired and is subtle enough to wear to work tomorrow. If you're not a true O'Malley, Sullivan or Kelly, but are still feeling the spirit of Irish Day, this look is just for you, so keep reading for more pix, instructions and details! Bonjour mes belles!! 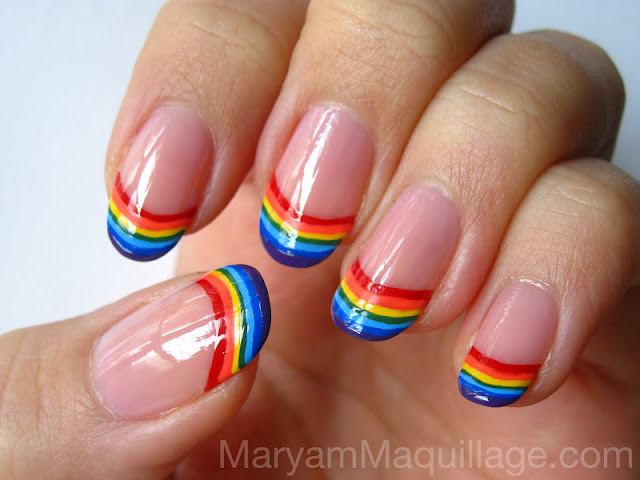 Today's nail post is one of my happiest and needs no introduction, so if you like the happy rainbows on my tips, look no further and read the full post for details, tips, and pix! How-to? Check out my tips!! Salut mes belles!! 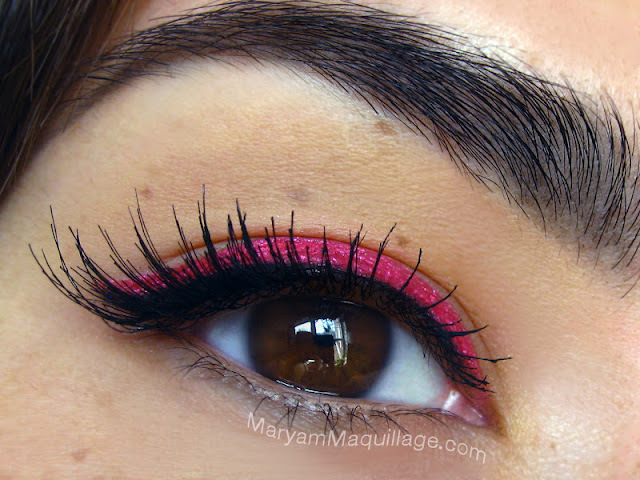 It's a beautiful day in the neighborhood and today's post is a quick EOTD (who else is thrown off by the daylight savings?) 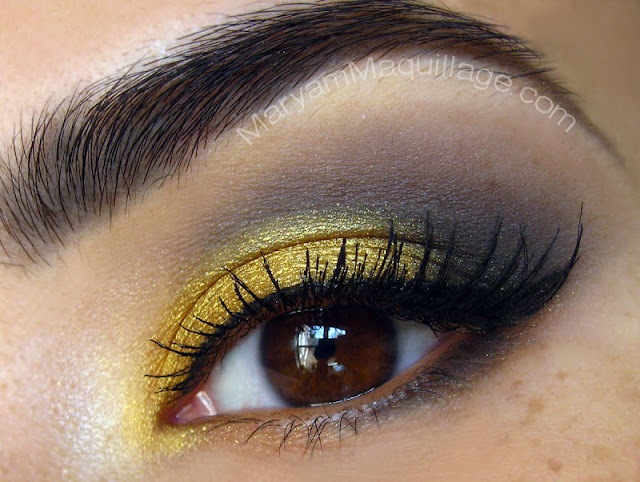 showcasing my gold and gray Sunday eye makeup look. On a bright, cheerful, "daylight-saving" day like today, I love to wear shimmery gold eye shadows to reflect the sunlight and bounce off the rays on to everyone I lay my eyes on! I have a busy fun-filled day lined up ahead of me, so this is my perfect playful look to transition me from daytime to party-time! Chirp Chirp old friends and new & Happy Friday!! 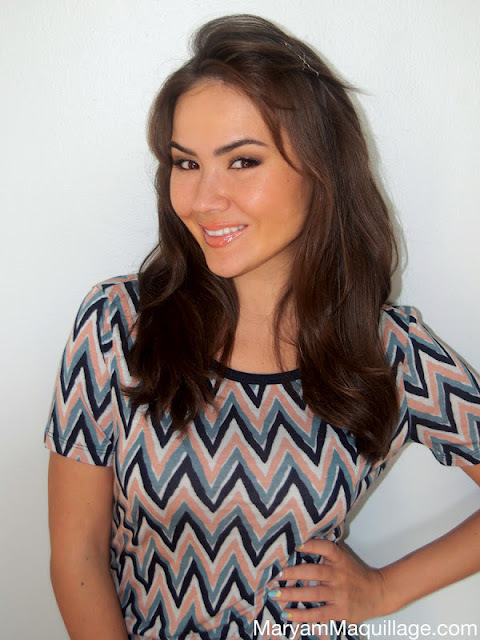 Today's makeup is easy-breezy--showing off a fun, simple way to wear bright blue eyeshadow. 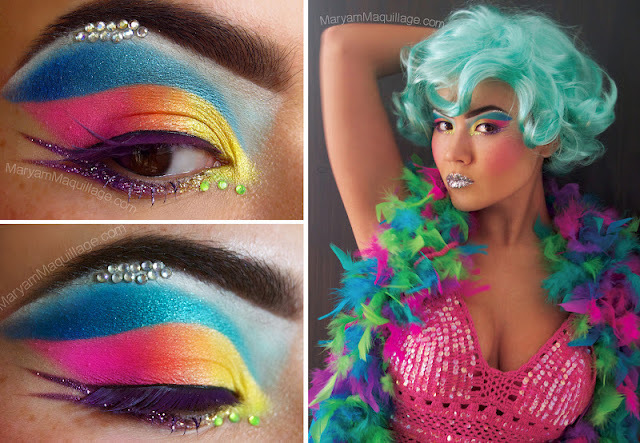 Earlier this week, I observed a flock of blue jays chirpin' away outside of my window and was immediately inspired to do a makeup look. Voila--here it is--my creation of blue and chipper! 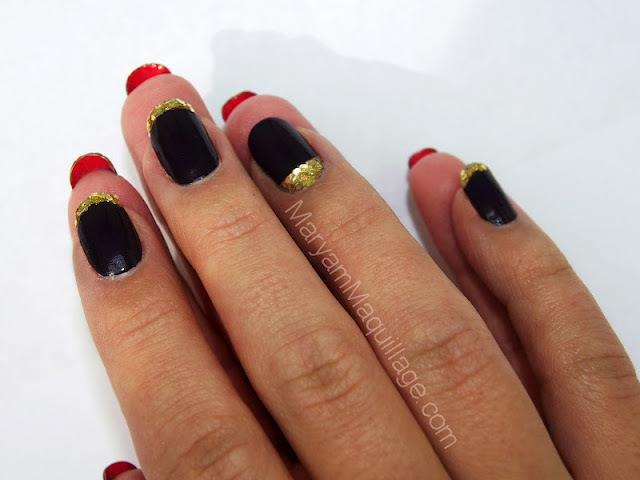 Read full post for tips, pix & deets! Bonjour mes amis!! Today's nails are self explanatory and need no introduction :) If you like what you see, read on for instructions, products and more pix!